During the three years, eight months, and twenty days that the Khmer Rouge ruled Cambodia, an estimated one-third of the population died through systematic murder, starvation, and illness. To put that into terms that we as Americans can understand, it would be as if all residents of California, New York, Texas, and Florida died between the time that the Tiger Woods scandal broke and today. It simply doesn’t seem real, or possible. Especially considering that this wasn’t deep in the annals of history, but 1975-1979. Reading about genocide is one thing but looking into the faces of survivors is another. Simply put, every Cambodian over the age of 40 experienced the terror of the Khmer Rouge— all lost parents, siblings, spouses, and friends at the hands of their own countrymen. Those younger than 40 (the median age is just 22-years-old) are the children of survivors. As a visitor, it was very important that I become familiar with the dark history in order to begin to understand the present state of the impoverished nation. Instead of attempting to provide a comprehensive history lesson, I’ve selected a few photos from my visits to Office S-21 (the Khmer Rouge’s secret prison where over 15,000 innocent Cambodians were held and tortured) and the Choeung Ek killing fields (a former Chinese cemetery and fruit orchard outside of Phnom Pehn where S-21 detainees were transferred to be executed and buried in mass graves) that I hope will help tell the story of the country’s past and my personal experience. Some of the photos are of a graphic nature, so please proceed accordingly. 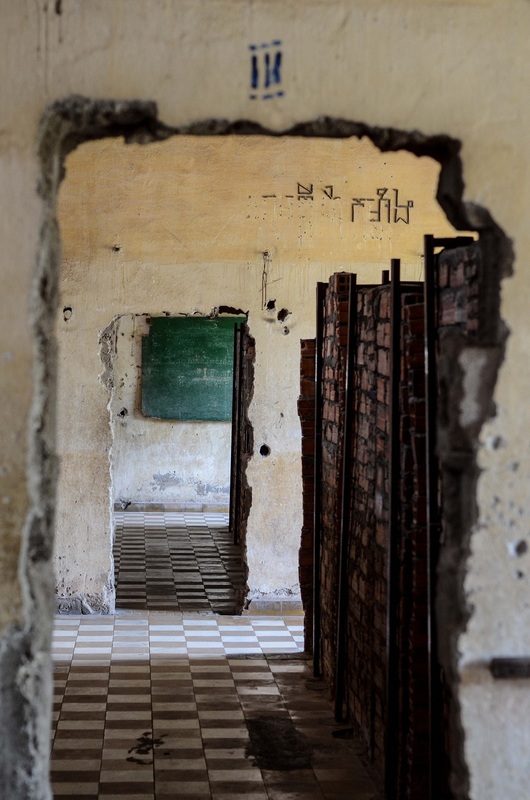 Formerly a high school, the Khmer Rouge converted classrooms into torture chambers at the notorious Office 21 (S-21). Those who were educated in any way, spoke a foreign language, or wore glasses were the first to be detained. 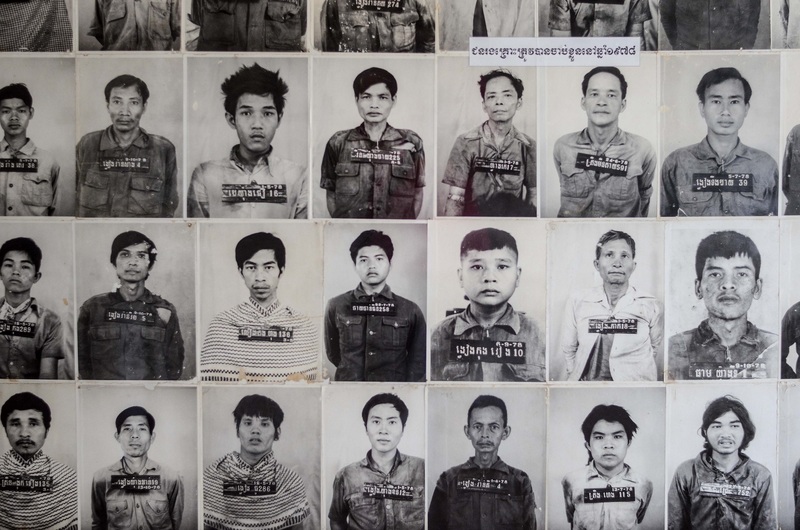 As Khmer Rouge officials grew progressively more paranoid, thousands of Cambodians were arrested on unsubstantiated charges of plotting against the government, held and tortured at S-21 until they signed a forced confession, and were transferred to the killing fields. 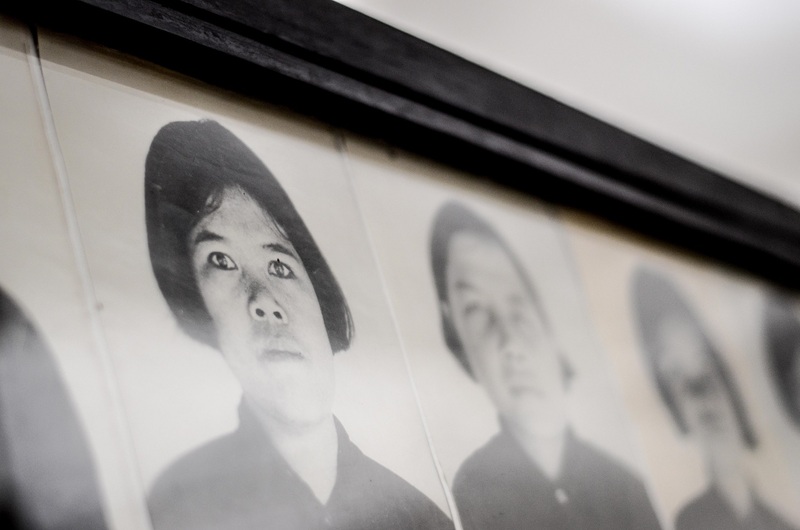 The Khmer Rouge meticulously documented all individuals who passed through S-21. Of over 15,000 inmates, only seven survived. 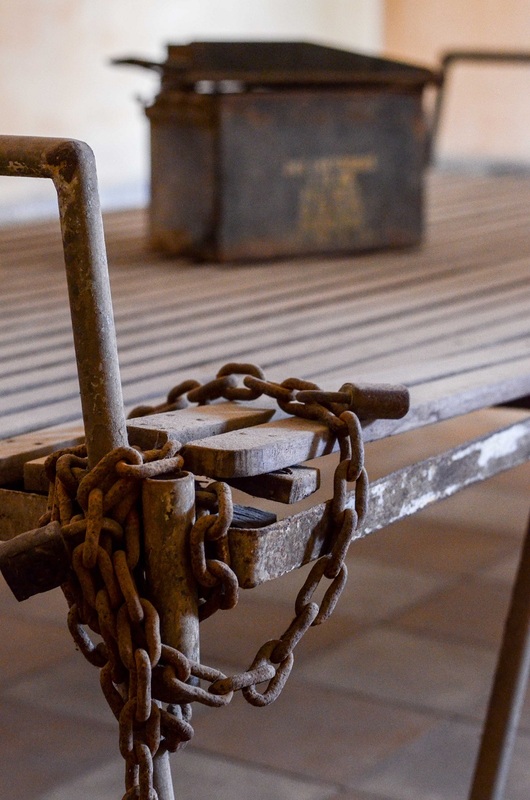 While being detained, questioned, and tortured, prisoners were held in small cages each containing a metal bed and ammunition container for body waste. 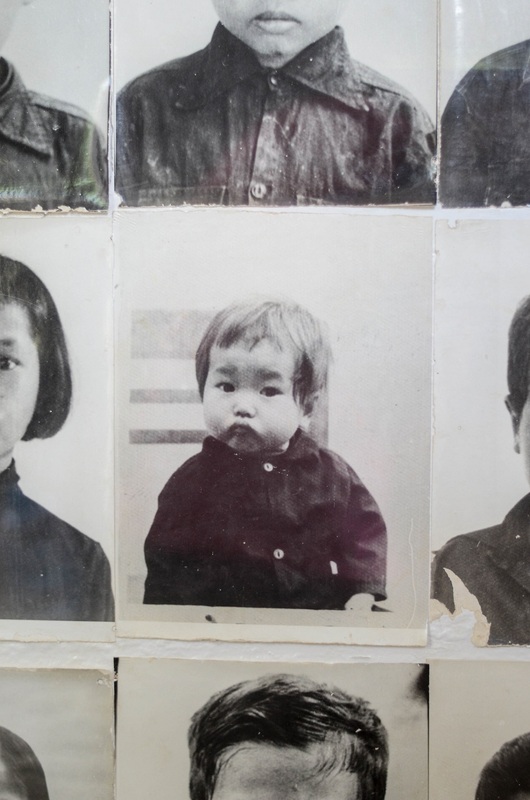 Children were not spared from the horrors of S-21, as the Khmer Rouge feared that once their parents were executed, children would seek revenge. Even those who were too young to remember were killed alongside their families. 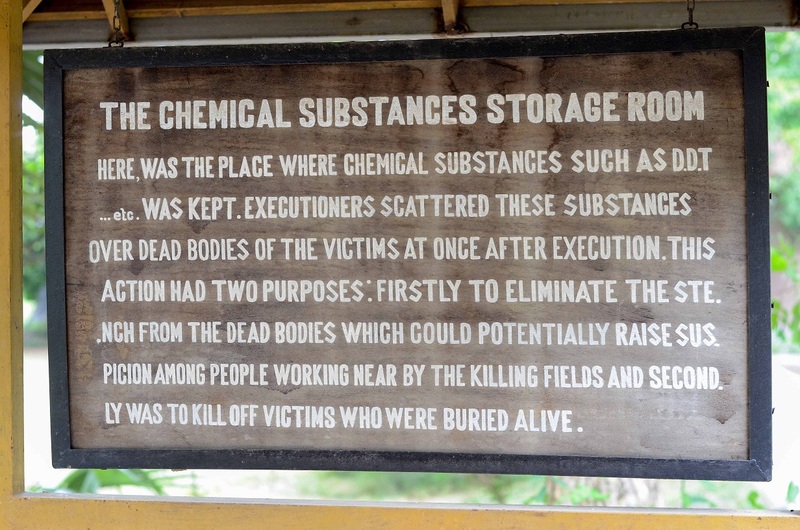 Inmates who had signed confessions at S-21 were transferred to Choeung Ek (one of 300+ killing fields across the country) in the dark of night. The Khmer Rouge felt that bullets were too expensive, so most victims were forced to kneel in front of a pit and died from a blow to the back of the neck. When the blow wasn’t fatal, D.D.T. was sprayed atop the bodies to finish the job. 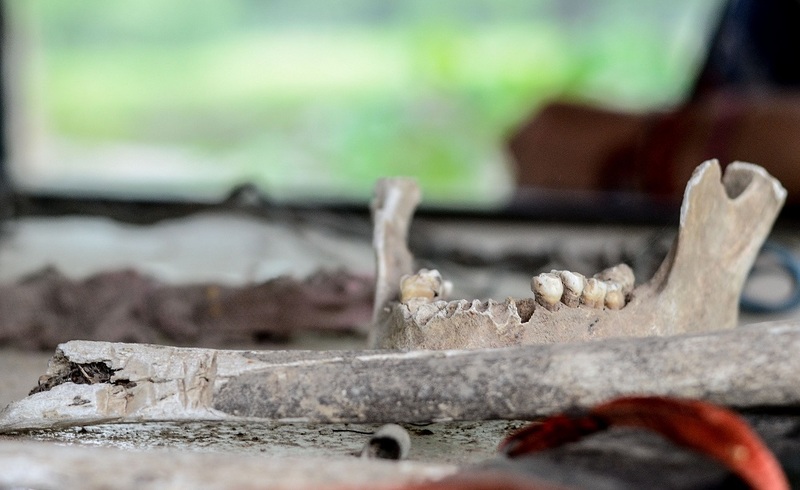 Despite detailed excavation efforts, the yearly rainy season unearths thousands of new bone fragments across the grounds. These are collected and sorted every few months. For many visitors, the most jarring site is that of the “killing tree,” upon which executioners beat children before tossing their bodies into a nearby pit. Some of these same men had families and children of their own. 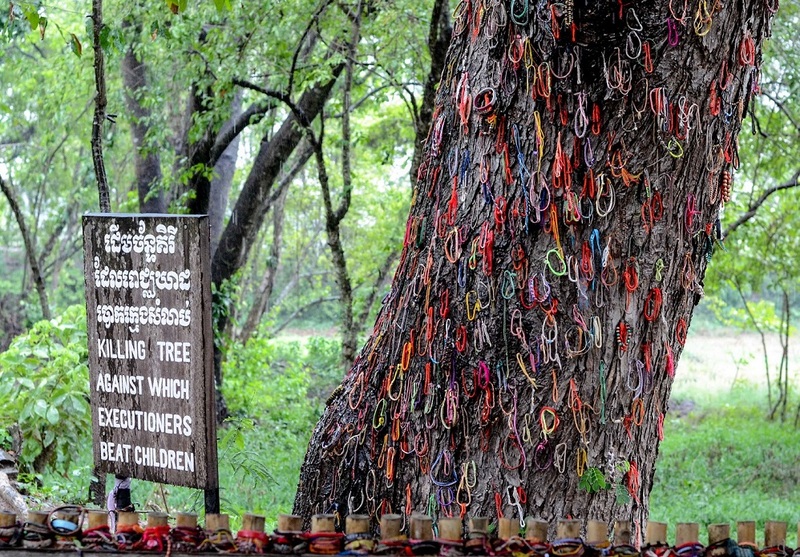 The tree has been covered in the bracelets that are sold countrywide by poor, street-peddling children. 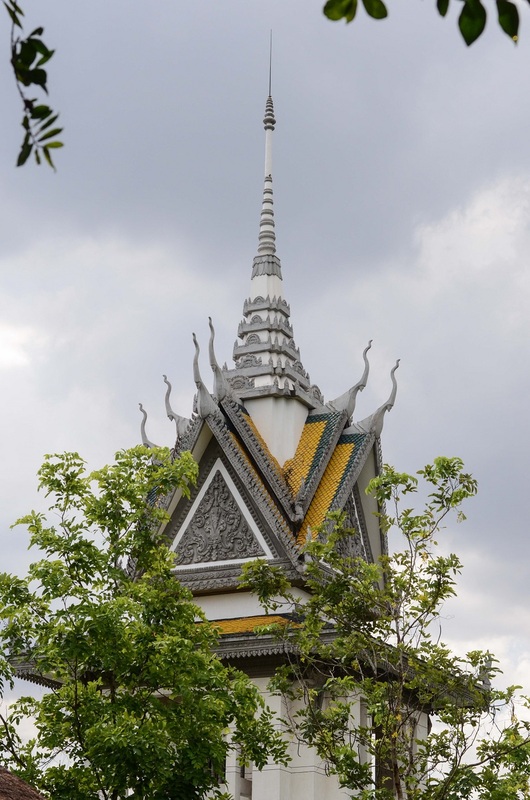 A Memorial Stupa has been erected in the center of Choeung Ek. It reverently displays the remains of thousands of victims, whose bones have been analyzed and sorted by gender and age. I encourage you to read more about the Khmer Rouge: how they came to power after America’s involvement in the Vietnam War, how they ruled through terror and destruction, and how they clung to powerful positions worldwide for decades after committing one of the most wide reaching genocides in history. Cambodia’s story has punched me in the gut and forced me to question my overall faith in humanity. How can citizens kill each other one decade and live side-by-side the next? Many things simply don’t line up. Thanks Shauna. I was shocked by how little I knew about the country before my visit. I feel like I have a new-found interest in history. Book club inspiration? Perhaps. It is stupefyingly hard to fathom. I felt the same way after visiting Dachau in Germany. I agree, Paula. I also visited Dachau in 2006 and it was quite the moving experience. There’s so much that went on in that period of history and many people don’t know the extent of what had happened. I am very lucky much of my family had survived the killing fields. Thank you for sharing this story, it means so much. Thank you for reading Eissas. I was so ignorant to Cambodia’s history before my visit, and learned so much over the course of the three weeks that I was there. I appreciate your note.